In a multinational venture to capitalize on the global scientific deployment known as International Polar Year, teams of scientists, engineers, pilots and support staff from the UK, USA, Germany, Japan, Australia and China joined forces to mount one of the most scientifically, technically and physically ambitious Antarctic projects yet undertaken: Exploration of the Gamburtsev Subglacial Mountains in the center of East Antarctica.  AGAP logo showing survey location in the heart of East Antarctica, key science targets (ice, lakes and mountains) and collaborating countries. Ferraccioli, F., C. Finn, T. A. Jordan, R. E. Bell, L. M. Anderson and D. Damaske (2011). 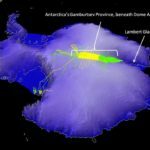 “East Antarctic rifting triggers uplift of the Gamburtsev Mountains.” Nature 479: 388-392, doi:310.1038/nature10566. Rose, K. C., F. Ferraccioli, S. S. R. Jamieson, R. E. Bell, H. Corr, T. T. Creyts, D. Braaten, T. A. Jordan, P. Fretwell and D. Damaske (2013). 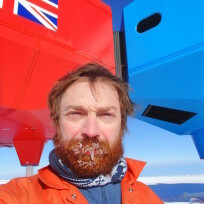 “Early East Antarctic Ice Sheet Growth Recorded in the Landscape of the Gamburtsev Subglacial Mountains.” Earth Planet. Sci. Lett. 375: 1-12. Creyts, T. T., F. Ferraccioli, R. E. Bell, M. Wolovick, H. Corr, K. C. Rose, N. Frearson, D. Damaske, T. Jordan and D. Braaten (2014). “Freezing of ridges and water networks preserves the Gamburtsev Subglacial Mountains for millions of years.” Geophys. Res. Lett. 41(22): 8114-8122. 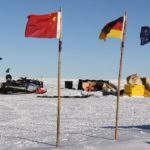 The Antarctica’s Gamburtsev Province (AGAP) project focuses on an invisible world in one of the most remote areas on Earth, just west of the Pole of Inaccessibility, in East Antarctica. 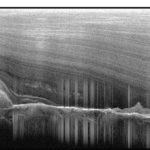 Organised as part of a large international effort through the fourth International Polar Year, the project peered beneath the roughly 4 km-deep layer of 1.2 million-year-old glacial ice, to expose the mountains and lakes hidden below. The project involved several intersecting areas of scientific research. 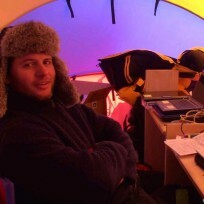 Developing an understanding of the origin and the influences of the Subglacial Gamburtsev Mountains. 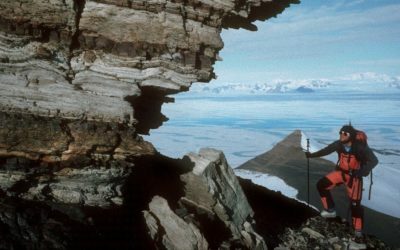 The Gamburtsev Mountains positioned deep in East Antarctica, lie below the highest, and perhaps the coldest, place on the East Antarctic Ice Sheet — ‘Dome A’. Discovered 50 years ago, in the International Geophysical Year, the very origin of these mountains remained a complete mystery. What caused them to ever be formed? 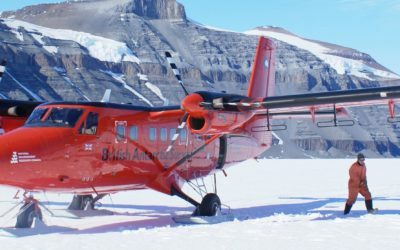 Through the use of airborne radar and satellite measurements more than 200 subglacial lakes have been located in Antarctica. Water moves between these lakes through a complex system of under-ice rivers, streams and even swamps. 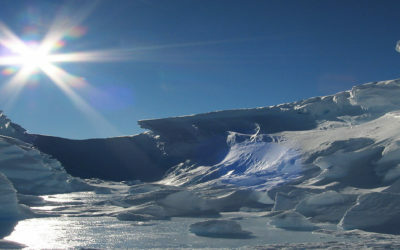 Scientists believe water under the ice sheet lubricates the underside of the ice making the ice sheet slide faster. The moving water seems to have a direct link to ice sheet stability. Much of what we know about climate change on our planet comes from ice cores. Ice cores are like climate libraries, capturing gases and atmospheric particles that provide information on the climate from earlier ice ages and warm periods. Many scientists hypothesize the oldest ice on the planet exists close to Dome A, so an ice core from this region will reveal the longest history of planetary change. Through our international collaborations, ice core samples will be recovered from this last great unknown region of Antarctica. 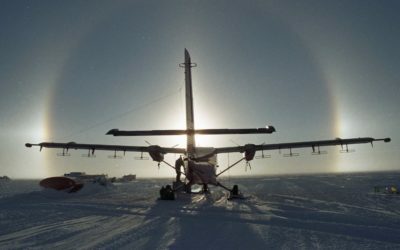 Scientists hope that ice cores collected from Dome A will contain information that will shed new light on the origins of the Antarctic ice sheet and its role in future climate change. This multi-national project project also included partners from seven nations, and multiple institutions. Because 99.6% of its surface is covered by ice up to 4.8km thick Antarctica is one of the least understood continents on Earth. 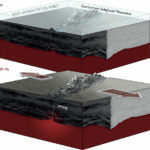 There is increasing international awareness of the pivotal role that Antarctica plays in the global climate and geodynamic systems. The stability of Antarctic ice sheets in a warming climate is very relevant to society because of its potential contribution to global sea-level rise. 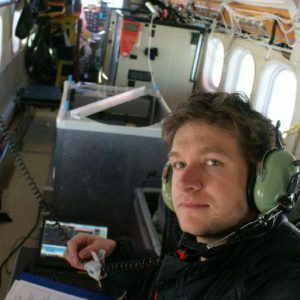 Airborne geophysics is a prime tool to explore ice sheets, create images of subglacial environments, and to study associated geological features. 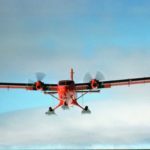 The British Antarctic Survey is at the forefront in developing an enhanced aerogeophysical platform (installed in a Twin Otter aircraft), comprising airborne radar, aeromagnetic and aerogravity sensors. 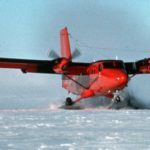 The HF radar is an in-house system (PASIN) operating at 150 MHz, and capable of surveying ice surface, ice thickness, bedrock configurations, internal ice layering and subglacial lakes. A Scintrex aeromagnetic system uses Cs-3 cesium sensors in fixed-wing configuration, coupled with a fluxgate magnetometer for magnetic compensation. 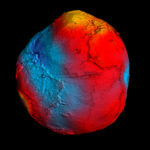 It provides data to image subglacial geology and crustal structure. 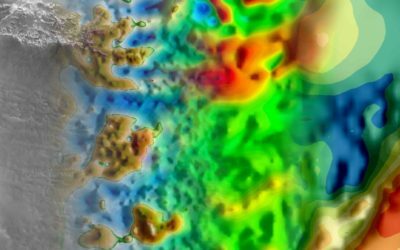 An L&R gravity meter modified by ZLS allows us to image subglacial topography, sedimentary basins and investigate deep crustal structure.